You may have noticed that retro home styles have made a real comeback in recent years. Some people have gone full-on retro and transformed a room or even an entire house whereas others have simply incorporated retro elements within their interior layout. 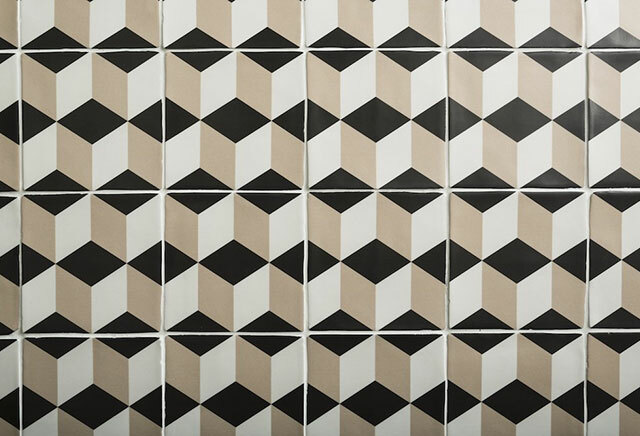 Below we take a look at some fascinating retro ideas and trends from Tilesporcelain that will hopefully provide you with plenty of inspiration for your next project. This 1950’s inspired Diner is certainly an example of an interior which is full on Retro! From the classic black and white tiled chequered floor to the vintage Coca Cola lamp shade suspended from the ceiling this design pays homage to a bygone era in stunning fashion. 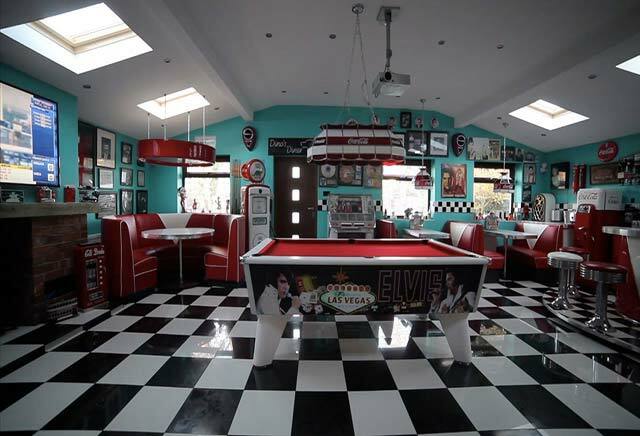 The king himself – Elvis Presley – also features prominently on both the pool table and wall pictures. The retro theme continues with red and white leather seated booths and bar stools. Even contemporary features like a flat screen TV and ceiling skylights complement the overall layout particularly well, after all – where would be without a few mod cons? Already have a home office which is in need of an update or looking to convert a spare bedroom in to a workspace? A retro look like this will certainly provide a unique style! One of the great things about retro decors is the uncluttered simplicity of it all. With desk space and storage in abundance this retro home office combines both good looks and practicality. The wallpaper provides a fresh backdrop with the lamp shade offering a classic retro feel. The great thing about light wood furnishings is that they are equally well suited to more contemporary layouts so even if you change your design theme the furniture can stay! Metro Brick Tiles are the centrepiece of many retro deigns and were first installed in New York Subway stations throughout the 1960’s and 1970’s. The metro style has grown to become one of the most recognised wall coverings in the world. You will have no doubt seen metro tiles in bars, cafes, hotels, restaurants and shops – they are literally everywhere! This particular design sees the tiles arranged in a less familiar pattern opposed to the traditional brick effect formation. We actually think it looks really, really cool and adds a contemporary twist to something which is so classically retro. Natural Wood cladding has taken the interior design world by storm in 2017. 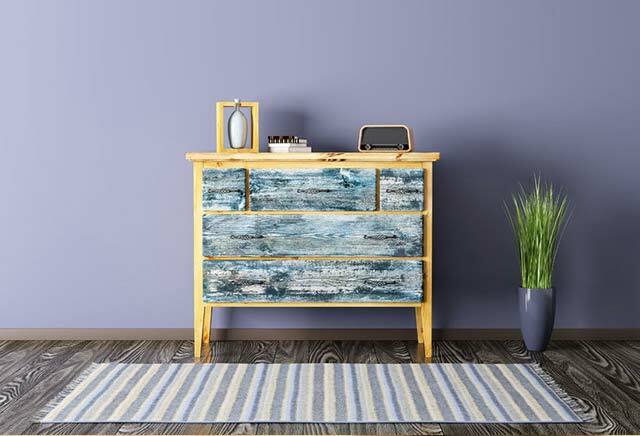 From home interiors to shops and bars – a much loved wood finish is being seen more and more these days. 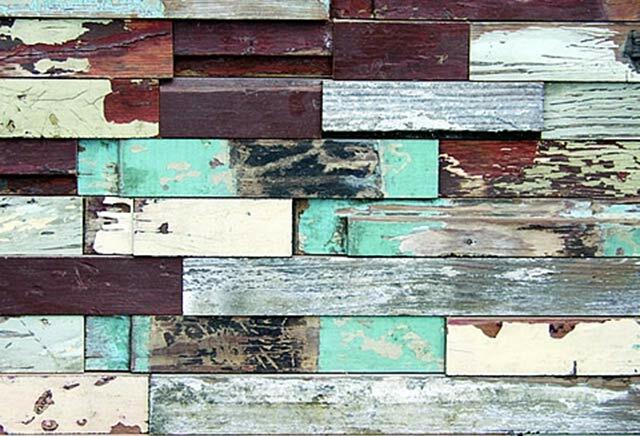 Among the influx of new products, Genuine Reclaimed Timber Cladding has proven to be a massive hit. 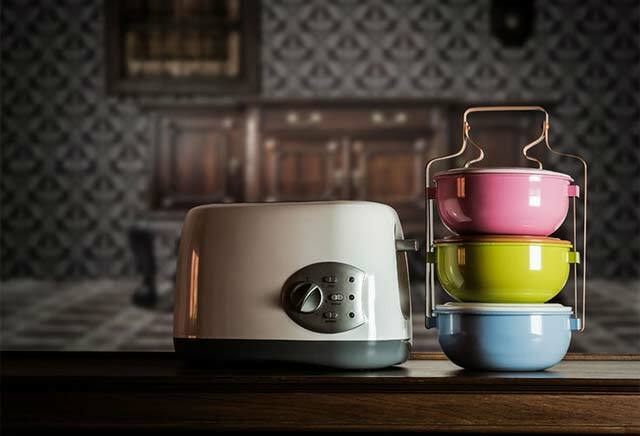 It has a retro appeal and features multiple colours. Not only is it selected for wall designs but can also be applied to ceilings. The randomised formation and colour scheme provides a rustic character and produces a distinctive appearance which transforms interior designs. Many classic retro designs have been built around the use of simple shapes and colours. Geometric shapes work perfectly within a retro décor with this diamond pattern creating a sharp and defined look. These tiles are well suited to a bathroom or kitchen in which they provide a retro backsplash. Even if the rest of your interior is more on the minimalistic side of things, a design like this can add a unique feature and welcome contrast. Products like this offer a simple way of incorporating a classy retro element within your overall home design without going completely over the top. 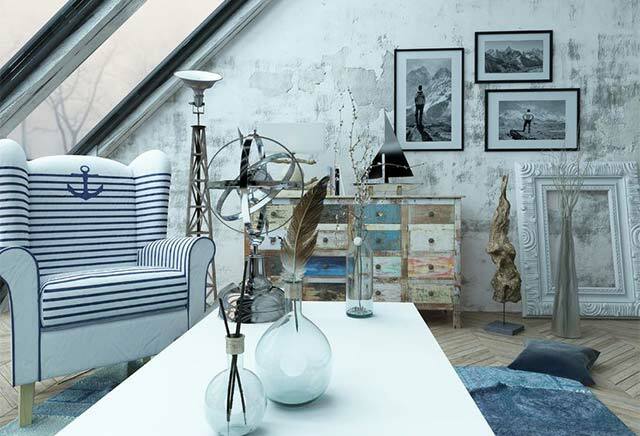 Whether you have already converted your loft and are looking for a change in direction when it comes to your style, or you are considering converting your current loft into a liveable space then it gives you a great excuse to be a bit creative. This design combines both rustic and retro aspects. In fact you could say its vintage, shabby chic and retro all rolled in to one! It just goes to show that combining various design themes can work to great effect. The use of large glass windows really opens out the space and helps to accentuate the numerous features which make up this highly inventive layout. 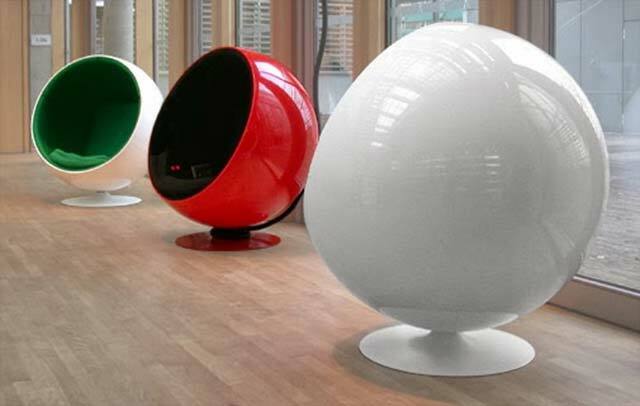 This round ball chair is absolute classic retro. Just imagine how cool you would look sitting in your little pod of comfort watching the TV! It is popular for apartments, particularly those with an open plan layout. 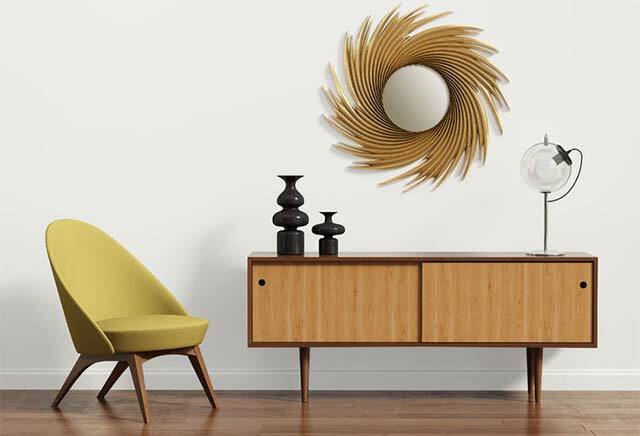 It doesn’t have to be chosen specifically for a retro décor either as it also complements popular contemporary features like wood flooring and neutral wall colours. Ok, so admittedly it is very Austin Powers and might. You’ve seen the type of retro chair which is proving to be a big hit in 2017 but what about a sofa? Well, once again this one will undoubtedly divide opinion! One thing you can’t deny is that it makes a real statement and catches your attention straight away. The sloped back is quirky to say the least and the green colour has a real vintage appeal. It makes a change from the beige, cream, grey and brown fabric sofas which are so prevalent in today’s market. Combining it with other green features is a good move as it really brings the whole concept together. 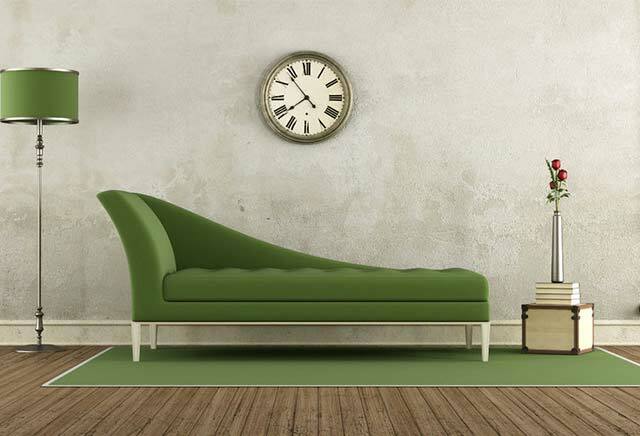 Why not choose a piece of vintage retro furniture to add a classic feel to your home interior? Stylish cabinets like this one have proven very popular this year. This design demonstrates how retro can be both minimalist and vibrant, with the mirror adding a standout feature. The combination of plain colours produces a fresh and welcoming appeal. A décor like this captures the true meaning of retro with a simple and laidback vibe. It’s undoubtedly a case of less is more when it comes to this trendy layout. A funky pattern like this retro version can really bring a bedroom décor to life. Although neutral themes in bedrooms are still very popular, 2017 has seen a re-emergence in more colourful designs like this one. This retro wallpaper produces a decorative style and can even work well within modern designs. The shaped uniformed pattern and multiple colours create a trendy appearance. This print wallpaper provides a modern twist on what was a very popular style in the 1950’s and 1960’s. 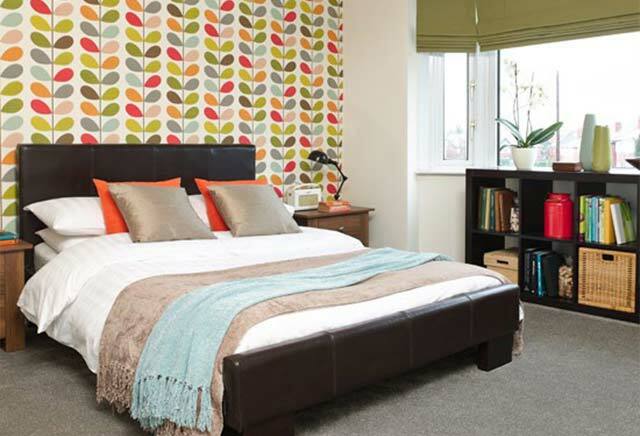 If you are looking to spruce up your bedroom design then it is certainly worth considering a retro feature wall. 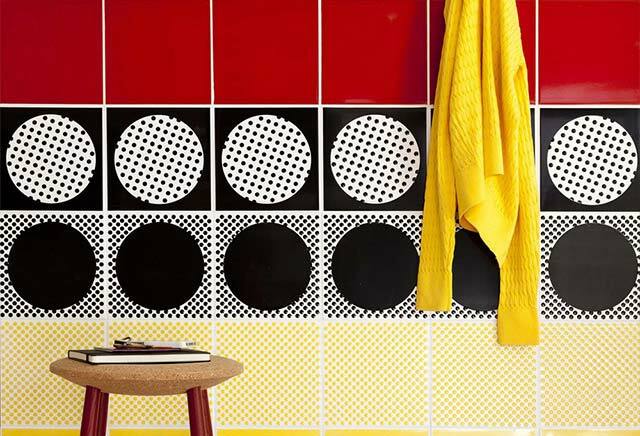 Spot patterns are an integral part of many retro decors – it is no surprise either as it was a staple of high street fashion and home interior designs throughout the 1950’s and 1960’s. This spot wall feature which combines bright and bold colours is a great example of a retro style being reinvented for the 21st century. These glossy wall tiles are well suited to porches, hallways and kitchens. A design like this really characterises that particular period in time, showcasing its vibrancy to great effect. 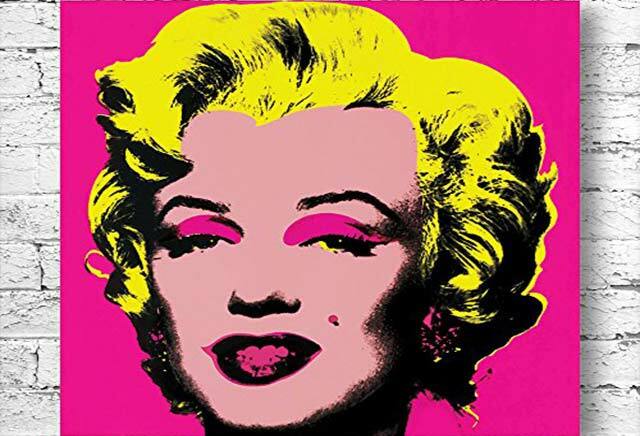 Pop art is retro gold and it’s great to see so many iconic designs which have taken inspiration from this movement coming back in to fashion. This classy statement piece can be used as a backsplash in a kitchen so it is therefore both functional and stylish. Once again, the use of bold colours against a plain backdrop really helps to accentuate the designs and creates a standout feature. Influential American artist Andy Warhol was at the forefront of the pop art scene and this might not be the last time you hear about him in this list. Creating a retro feel can sometimes be as simple as adding just one or two elements. 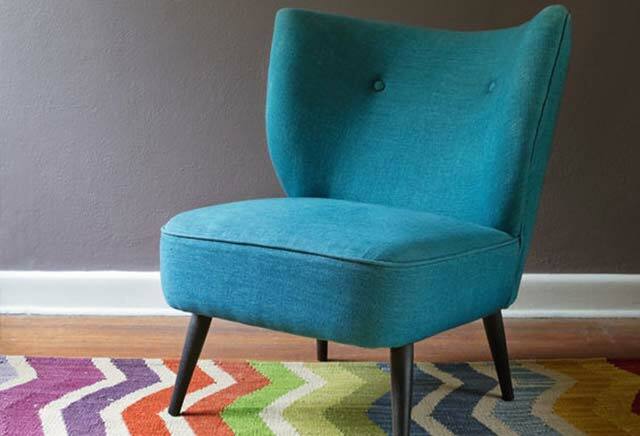 In this case the snazzy carpet and chair combo transform an otherwise plain contemporary setting in to a retro paradise! The colourful zigzag pattern is rather psychedelic in its appearance and produces a unique feature floor. Rugs and carpets are not only great for adding style but are also practical as they provide comfort and warmth when walking in bare feet – something which the hippies did a lot of back in the day! 2016 was certainly a great year for companies which specialise in retro fridges and 2017 is proving to be no different. The reason for this sudden desire among people to have a retro fridge in their kitchen could be down to a number of things. Firstly, retro fridges are now available in more colours and styles than ever before. They are ideal for modern kitchen layouts. Also, these fridges are often large with a decent sized freezer compartment so are therefore highly practical and popular among families. Lastly, excuse the pun but they happen to look pretty cool don’t they? I did say earlier on that there would be more Pop Art and Andy Warhol to come. Andy would often create pieces which would feature famous celebrities of the time. Few were more famous than Marilyn Monroe and following her death in 1962, Warhol created one of his most memorable artworks named ‘Marilyn Diptych’. This poster is not an exact replica of that particular piece but carries a similar theme. 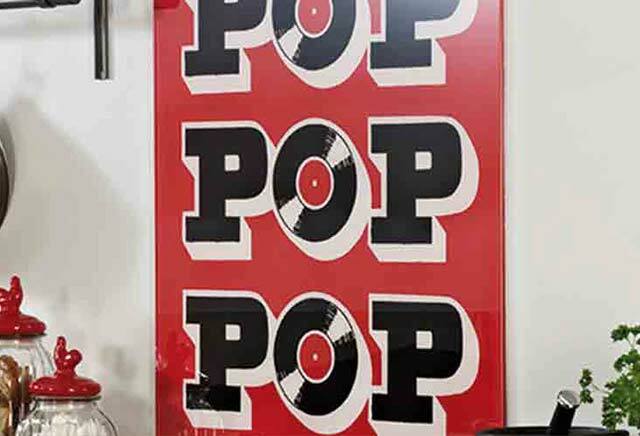 If you are looking to add a retro style for a low cost and minimal hassle then there are loads of Pop Art posters – like this – to choose from. You could even frame the poster to help it stand out more. 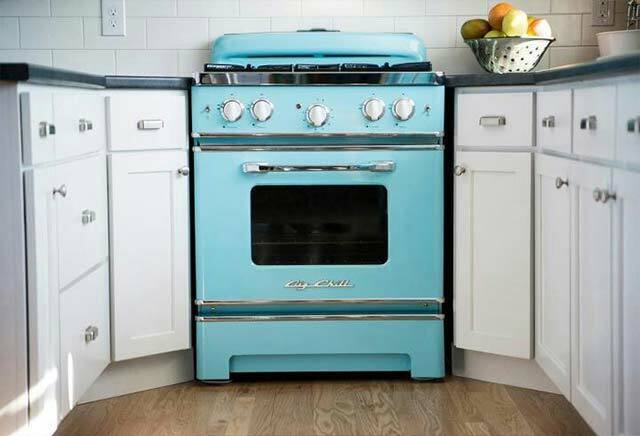 If you are after a retro item that not only looks the part but also serves a purpose then a retro oven should be high on your list. Retro ovens provide modern kitchens with a unique feature and combine well with popular colours like black, white and brown. 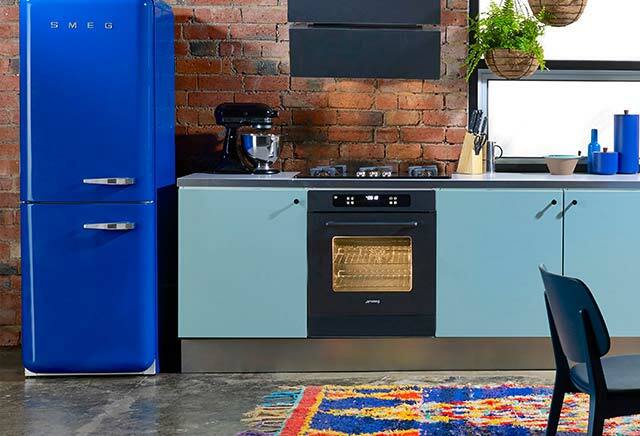 Even if you have opted for a more contemporary style kitchen, an oven like this will provide a trendy retro element which is sure to impress your guests. This turquoise variety is classic retro but there are also many different colours to choose from. In addition to conventional ovens, retro Aga cookers are also available on the market. This is a great example of a retro style which really flows throughout an interior as a result of a matching wall and floor design. 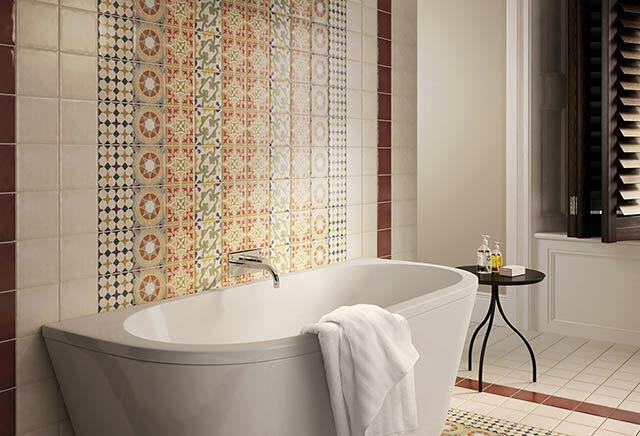 The retro patterned tiles have a decorative appearance which creates a stunning bathroom feature. A décor like this is not only well suited to standard bathrooms but is also great for en suite and wet room layouts. With its bold colour scheme and intricate shaped formations this feature-length design certainly ticks all the right boxes when it comes to creating a standout retro masterpiece. Even the light shade has a retro element which we think complements the overall design rather nicely. Okay, so it’s not exactly subtle is it? 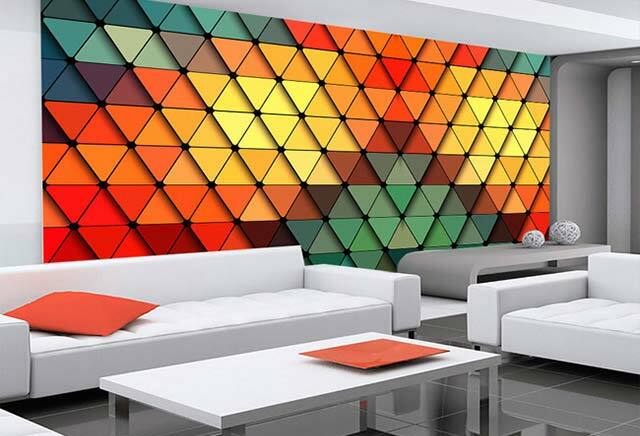 But this bright and colourful feature wall is guaranteed to have retro enthusiasts drooling. With its classic geometric design and multitude of bright colours it produces a stunning focal point which you simply can’t ignore. What’s equally impressive about this layout is the contrast in styles and how the minimalistic, monochrome interior enables the wall to stand out even more. We’re not sure if it comes with a pair of sunglasses but what we do know is that if you choose a design like this for your living room then you certainly can’t be accused of playing it safe. So far in 2017 we’ve seen more and more interesting ways in which retro aspects can be incorporated within a modern décor. These hanging ceiling lights and matching basins produce a distinctive retro style. 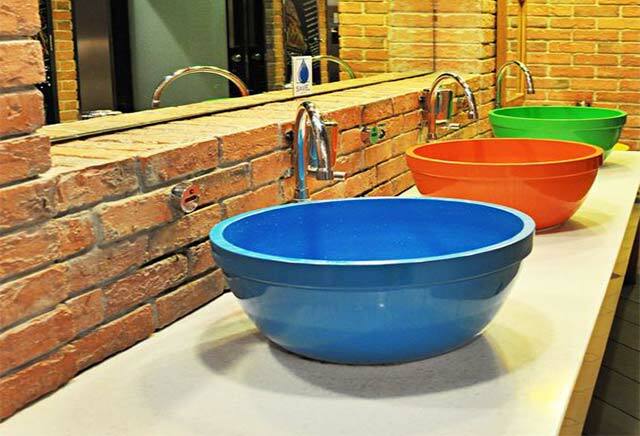 Brick walls, white surfaces and chrome taps are very much in at the moment but the introduction of these primary colours actually provides a trendy contrast and a break from the norm. The light helps to accentuate the bright colours extremely well and produces a unique bathroom feature. 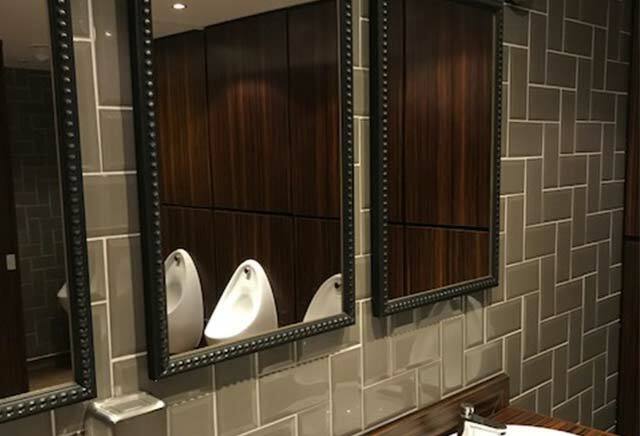 Designs similar to this are noticeable throughout many city centre bars and restaurants in which a contemporary décor with a splash of retro seems to be the way forward. Retro gadgets and accessories are always going to be a sought after option and it is no surprise to see so many Retro Radios about these days. 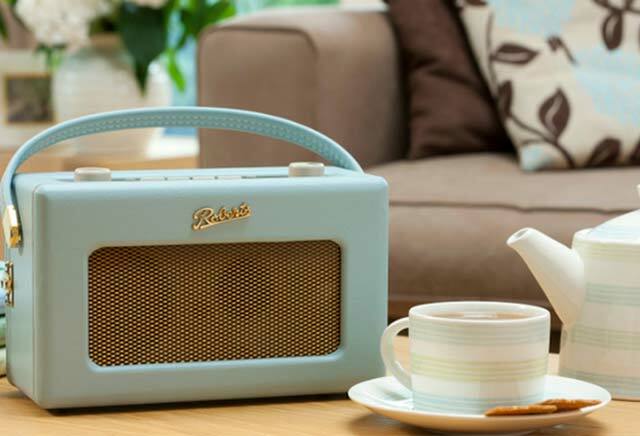 Combining a popular trend with something that is also functional is always a good idea and there are a lot of modern digital radios on the market which have a retro style and are a perfect addition to your kitchen, conservatory, lounge or living room interior. We think they look great and if you too are already on the same wavelength then I’m sure the next time you buy a radio it might just be a retro one. I think this is what you can call retro/contemporary. This design has a modern feel but a retro charm certainly runs throughout. The drawers have quite a shabby chic appeal but the cabinet itself is classically retro with its thin legs – there’s even a retro style radio for added character! An amalgamation of different styles has proven to be really big in 2017 and this décor proves that a stylish layout is easy to achieve when an effective colour scheme is found. It’s another example of how not overcomplicating a design but instead taking a simplified approach can be the key to success. There’s nothing better after a long day than to put your feet up and relax, and a retro foot stool like this will certainly enable you to unwind in style. 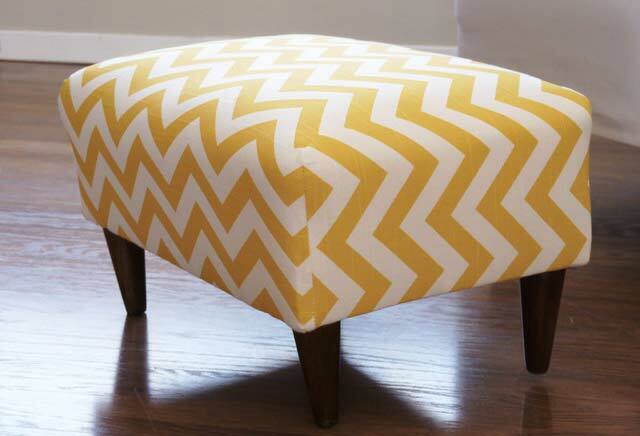 A zigzag pattern is classic retro and this particular foot stool is perfect for modern interiors and matches really well with popular wooden floors. Regardless of the sofa you have opted for a retro foot stool is a quirky addition and complements brown leather and cream fabric. If you want a retro foot stool which blends in more with your overall décor, there are plenty of options out there in a variety of styles and colours. 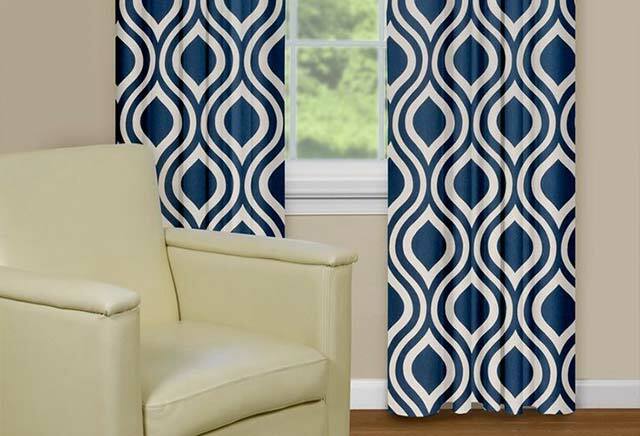 These curtains provide a classy retro style with a shape print pattern and popular blue and white colour combination. Within a design like this the obvious choice of curtain may involve other neutral colours like cream or grey but sometimes being a bit adventurous really pays off and this is certainly the case with this décor. This layout proves that adding a retro element to your home interior does not have to be overcomplicated or expensive as there are some very high quality readymade retro curtains available at a low price. You could say that retro curtains like these will really bring your design together! If you have been intrigued so far about what we’ve had to say about retro trends in 2017 and want a slice of the action yourself, then why not consider a retro toaster? Warm toast with a hot mug of coffee is a great way to start the day and having a toaster with style may even make those early mornings a little bit easier, well okay I might be spreading it on a bit thick now. However, we think it looks really cool, particularly with the accompanying retro tiffin carrier although it could be considered a lot like marmite; you either love it or you hate it. In 2017 we’ve certainly witnessed a new opening in the retro door market. As one door closes another one opens as they say and maybe consumers are beginning to shut out modern designs in favour of retro trends. 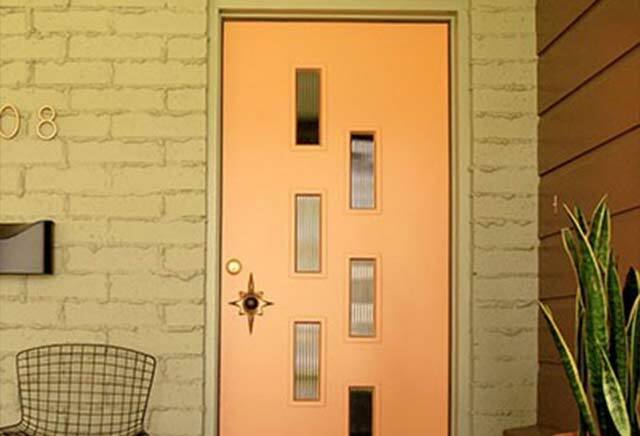 With its glass panels and peach colour you could unlock the potential of your home with a retro door like this. Retro doors are available in a vast array of shapes, colours and sizes so there’s a good chance you will find the perfect one for your next renovation. Oh wow, there’s so much I like here! The blue smeg fridge, the colourful sinks, the sideboard and pleased to say I do have a retro radio in the kitchen which I absolutely love! Hubby is obsessed with retro style sideboards and desks and he really wants to design one with the retro look himself, it’s his next project! Love the desk in the second one. I’m going to attempt to make one like this soon. Love the retro look,esp. that front door! I’ve been on the hunt for cool mid-century pieces, which are sometimes hard to find. Visiting from Pretty Pintastic Party. Thanks for stopping by. I love most of the things in this blog post. If only I had the money lol. Even though I don’t know how practical it would be for me personally, I love all of the 50’s looking interiors and designs and that diner is incredible! !